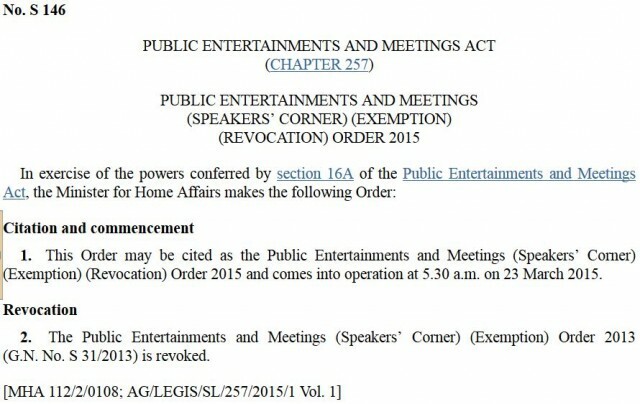 The Minister for Home Affairs, DPM Teo, prohibited public speaking at the Speakers’ Corner with effect from 5.30 a.m. 23 March 2014. (Details below). The registration page of NParks’ website [Link] explained that this is because Hong Lim Park is one of the “designated community sites” to be used for remembering LKY. — what this would be what he would have wished for. He had little confidence in the ability of Singaporeans to listen to different points of view, evaluate them and form correct opinions, which is to say, his opinions. “Many people are uncritically imitative,” Lee said in an address in 1971 to the International Press Institute in Helsinki. “A report of an airplane hijacking leads to a rash of hijackings in other unexpected places. A report of a foreign diplomat kidnapped for ransom by dissident groups is quickly followed by similar kidnapping in other countries.” He pointed to examples in Singapore, where in his view press reports sparked riots, which led to deaths. 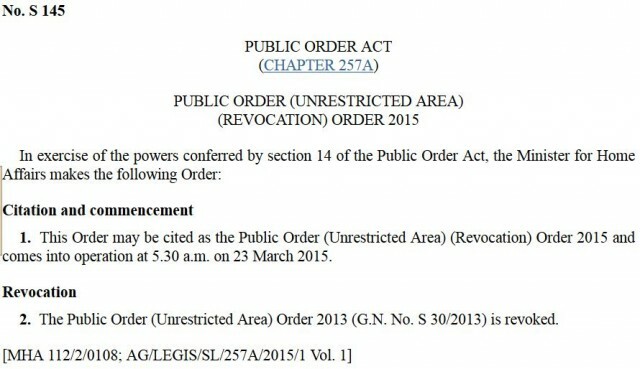 If Ah Loong wants to show his filiality, he should make the revocation order permanent. No more opportunities for Roy Ng, New Citizen H3, S/oJBJ, Tan Kin Lian and Goh Meng Seng to mislead the masses. Anfd rename the spot, “Harry’s Corner”. sensitive” proposals for political reform are both more respectful of “decent” non-Western societies and more likely to be effective.